At the West End Medical Practice, we try to give you the best possible care and treatment. It is useful for us to have your comments – both good and bad – to help us continue to improve the service we provide. If you find yourself unhappy with anything, please let us know. This is a short guide to helping you make a complaint. In the first instance, please do not be afraid to ask to speak to the Practice Manager in person or on the telephone. If you do this, we can try to sort out your complaint on the spot. If it is not possible, for whatever reason, to speak to the Practice Manager in person, we would request that you put your complaint in writing to the Practice Manager. When doing so, you should include your full name and address, and as much information as possible about what happened, when and where. On receipt of the written complaint, the Practice Manager will acknowledge the complaint within 48 hours. The Senior Partner deals with complaints of a clinical nature. The Practice Manager deals with complaints regarding administrative or clerical issues. We will respond to you within 10 working days of receiving your complaint. In some cases however, we may need more time to give you a full response and will not be able to meet these timescales. If this happens, we will inform you of this and of the reasons why. You will get a letter telling you the result of the investigation. 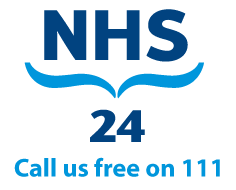 Please ask for a copy of the “Making a Complaint About the NHS” leaflet if you require any further information or assistance.